Reporting to stakeholders in a transparent and public manner is fundamental for companies committed to sustainability. 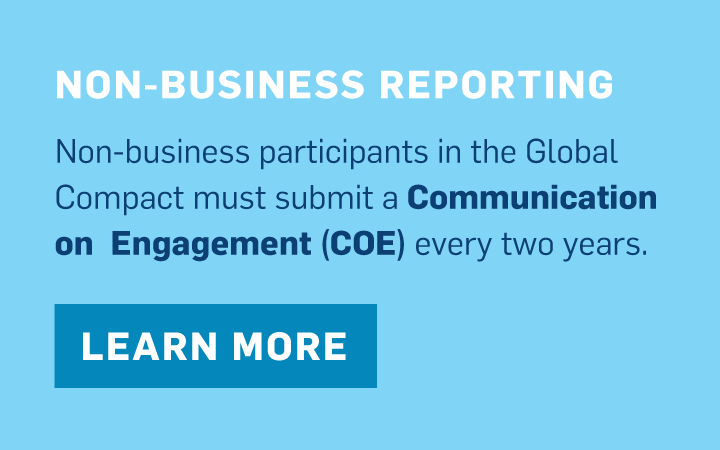 Your company’s annual Communication on Progress (COP) is a key component of your commitment to the UN Global Compact. There are several powerful drivers of non-financial reporting that are pushing companies to act responsibly and report on their actions: Mainstream investors are considering environmental, social and governance (ESG) information in their strategies. Non-financial information is informing the decisions of consumers, local communities and civil society organizations that are all expecting greater transparency from business. Once only a voluntary activity, there is a trend towards mandatory non-financial reporting. The COP serves as a good starting point, and in some cases meets government requirements. Benefits of sustainability reporting include integration of corporate sustainability into operations, improving your reputation, enhancing the commitment of your CEO, internal information sharing and strengthened relationships with your stakeholders and investors. 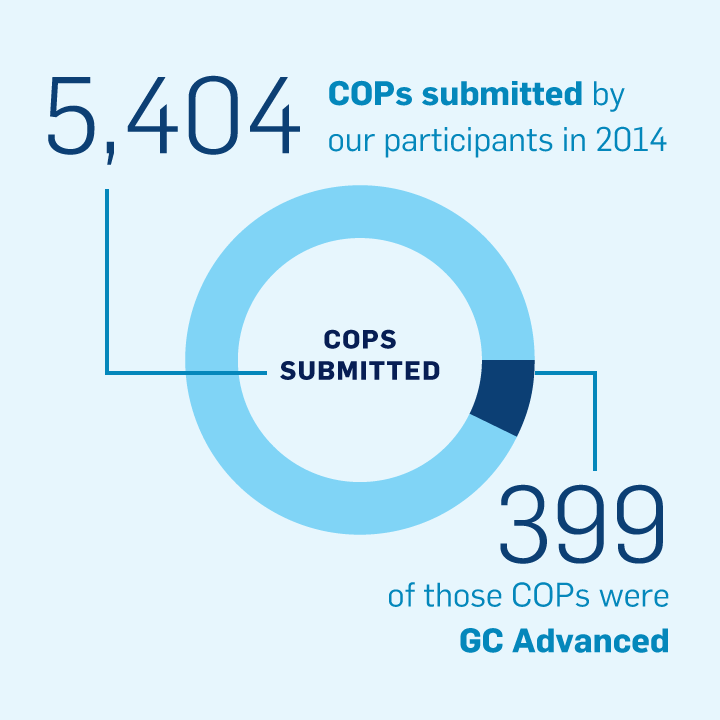 To date, over 47,000 COPs have been posted. The UN Global Compact requires participating companies to produce an annual COP that details their work to embed the Ten Principles into their strategies and operations, as well as efforts to support societal priorities. The COP is a visible expression of your commitment to sustainability and your stakeholders can view it on your company’s profile page. Companies that fail to report or to meet the criteria over time may be removed from the initiative.